Should New Zealand’s welfare system be adopted in Australia? Social Services Minister Christian Porter says a new approach is needed to get people into jobs. 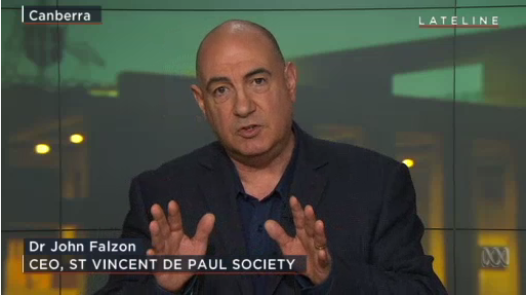 St Vincent de Paul Society National Council CEO, Dr John Falzon, says it is unfair to assume unemployment and poverty is a behavioural, rather than a social issue. “If we are serious about getting people into jobs, let’s look at the job market,” he told ABC television's Lateline program on Monday night.